Picture this. You've just finished watching one of the awesome videos from our revamped and reinvigorated Android Police YouTube channel — What?! You haven't subscribed to our channel yet? You're really missing out, go do it now and come back, I'll wait while you get sucked in and watch all our cool new videos... Where was I? Oh yeah, so you've just finished watching Android Police and you just know there are a few friends who will love that video just as much as you do. 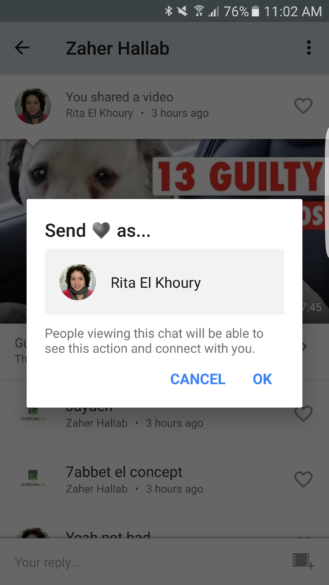 So you tap to share and you start wondering whether you'll send the link over Hangouts, WhatsApp, email, Facebook Messenger, Telegram, or any other form of communication that you use. But what if there was an easier way that was available directly inside YouTube, no third parties necessary? That'd be faster and easier, wouldn't it? This is what we're here to talk about. Or, if you prefer to watch us talk about YouTube, you can do that on YouTube with Mark Burstiner in the video below. Over the past few days, we have been getting tips about a new YouTube tab that was showing up for some users on Android and that seemed to add an in-app messenger-like feature for shared videos. When we reported the news yesterday, the option was still not working well, throwing blank screens and random errors, but we've since gotten our hands on it and found those quirks mostly ironed out. 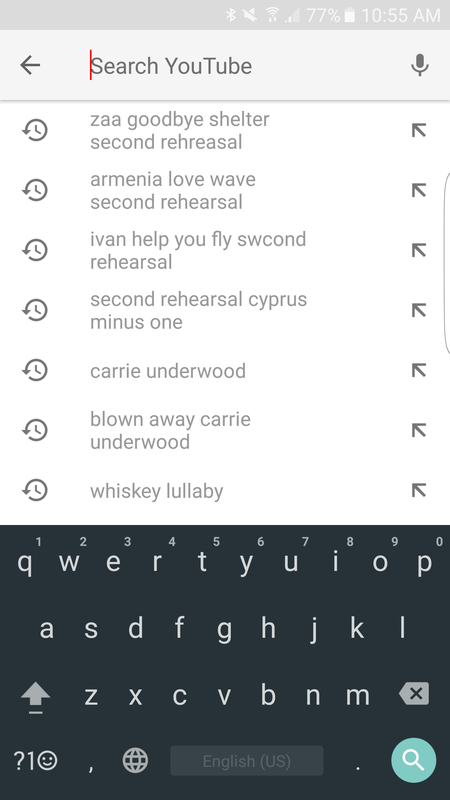 So what is this newfangled YouTube tab and how does it work? First things first: the new Shared Videos tab might show up spontaneously on your device, but your best bet to get it working is to receive an invite from someone who already has it. For me, that was Artem. For Artem, it was an anonymous philanthropist. 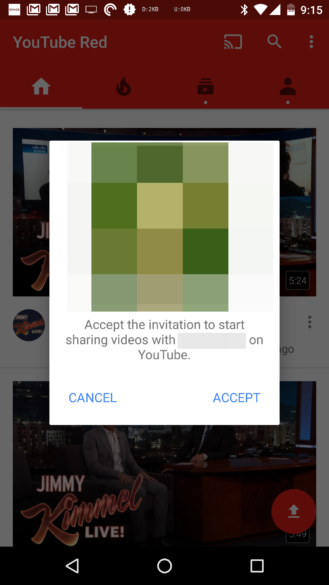 After accepting the invitation to start sharing videos, the tab might not show up instantly inside the app. 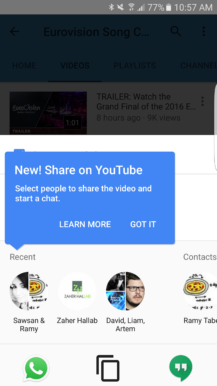 I had to close YouTube and re-open it and voilà, there was a new icon for the shared videos section. Once that new fourth tab shows up, you're in for an interesting ride. The shared videos functionality seems very mature and quite well thought out from our time with it so far. A lot of obvious options have been implemented, as well as several nice additions that really improve the experience. Here's what you should expect once it goes live. 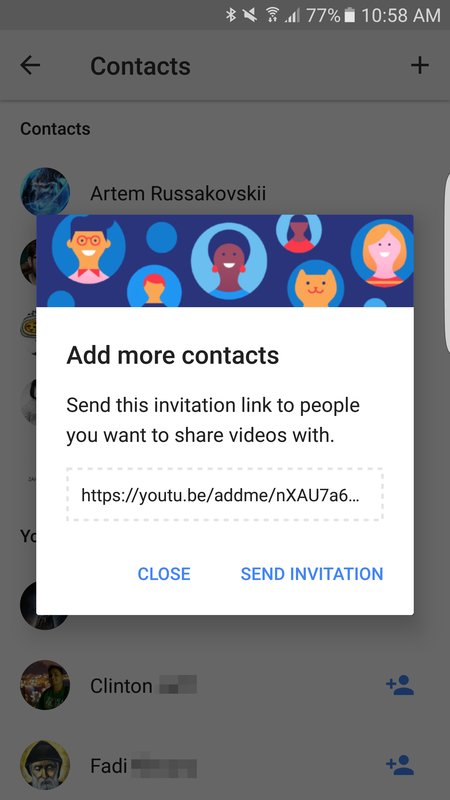 All of your conversations show up in the shared videos tab, but you can still tap View contacts to see a list of other people you might know (probably from your Google+ Circles or Google Contacts) and whom you can invite immediately. 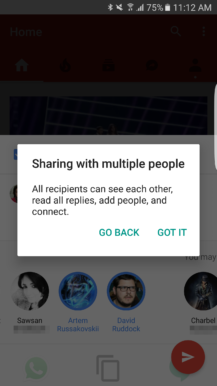 You can also send an invite to anyone else by generating a long code to share through any app of your choice. Try guessing the rest of that looooooong invite link and you might just get in. Oh the torture! There are a few things to keep in mind though when inviting new contacts. One is that they have to tap that link on Android or iOS because if they do so on a desktop computer, they'll just get the error message below. 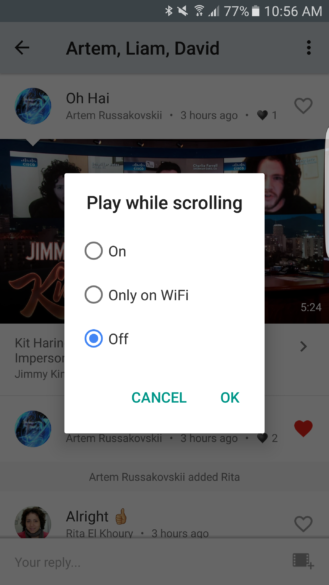 (That doesn't mean that YouTube shared videos won't ever be available on the desktop, but that they're likely limited to mobile now.) 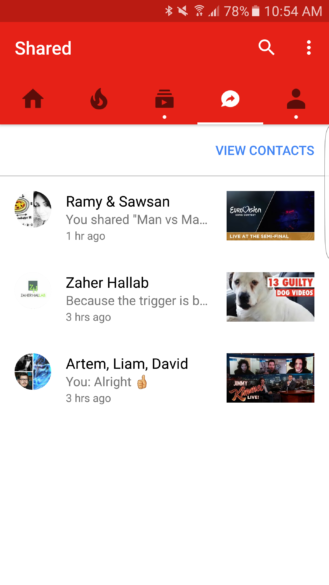 And two is that anyone who wants to use the feature has to have a YouTube channel, which is sort of annoying. Thankfully, the app will suggest creating one right away and then will let you in on the conversation. 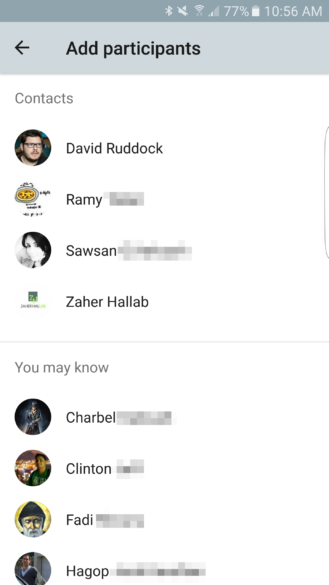 As for what the conversations are right now, they feel like a limited messenger built around YouTube videos. Obviously. You can type regular texts or emojis, but the icon you're most likely to use is the Add video one in the right corner of the text entry box. 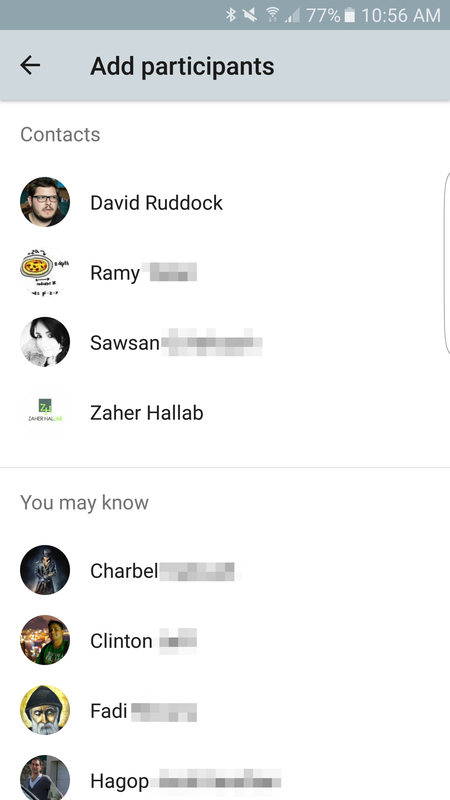 This surfaces a list of your recent YouTube searches, after which you'll get to send any video from the results. Artem likes Jimmy Kimmel whereas I'm living in the Eurovision bubble. 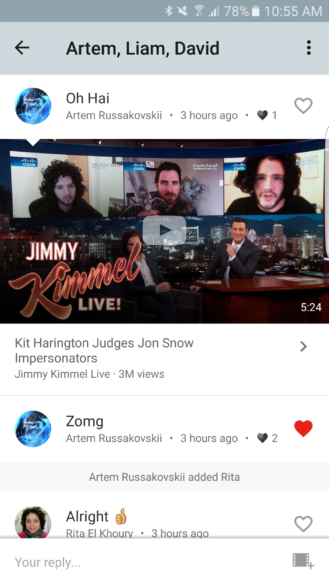 Anyone can react to a shared video or message by tapping that heart icon on the right. The first time you try to do that, you'll get asked to confirm that you don't mind others seeing your loved videos. That's cool because you may not want to tell a huge group of people that you're a big cat person who never likes puppy videos. Messages that have been liked by others, such as Artem's "Zomg" in the screenshot above, show a heart icon with a count number and tapping that reveals who really liked the message/video. 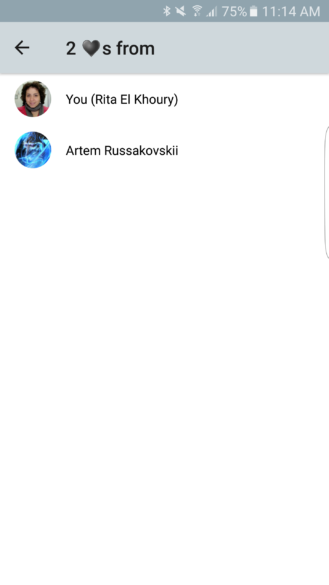 Artem likes what Artem says. Each conversation offers a couple of different options, among which is the choice to play videos automatically as you scroll (always, never, or only on Wi-Fi), leave the chat, mute all notifications from it, and view and add participants. 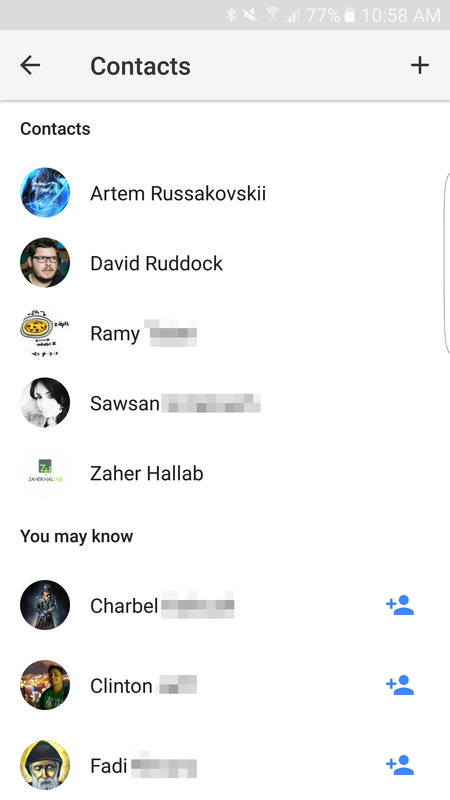 The list of participants offers you the choice to add users if they're not in your YouTube contacts yet. 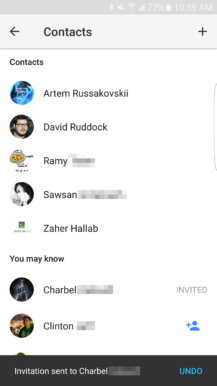 You can also invite new people to the chat from your existing contacts or from those you may know. 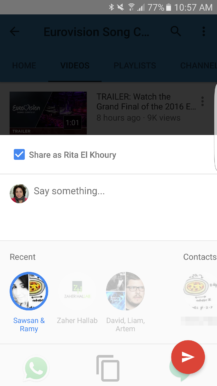 That ends our tour of the new shared videos tab, but there's one more way for you to send YouTube videos through the app. Instead of opening a chat first then searching and inserting a video, you can do it organically through the Share option while watching any YouTube video. 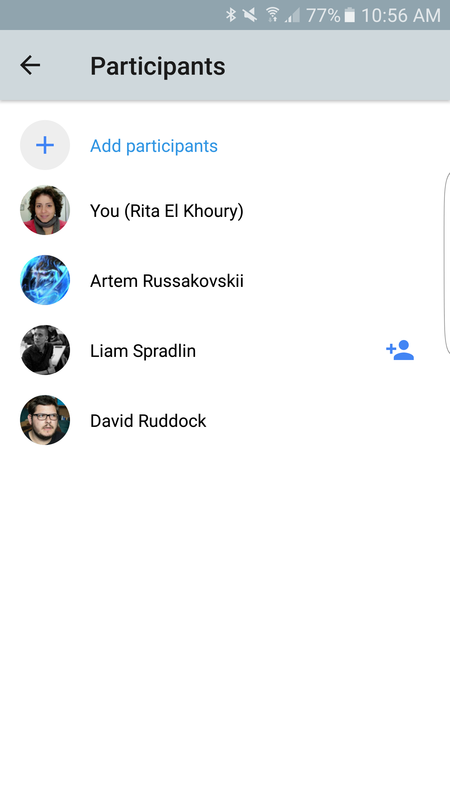 You'll get a list of your recent conversations and existing contacts and you can even multiple select those to instantly create a new group chat. 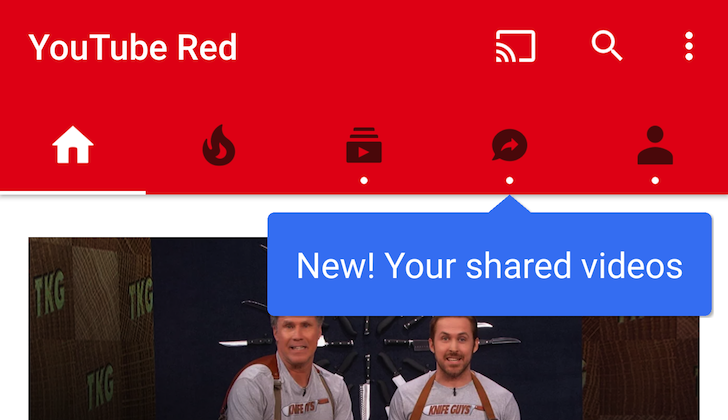 As you can see, a lot of thought has gone into creating this new shared videos experience inside YouTube. 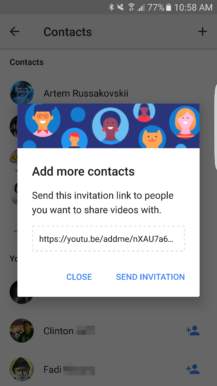 One-on-one and group chats are already functional, invites are possible for existing and new contacts, videos and text are both supported, autoplay options are included, and sharing can either be done inside a chat or while watching a video on YouTube. 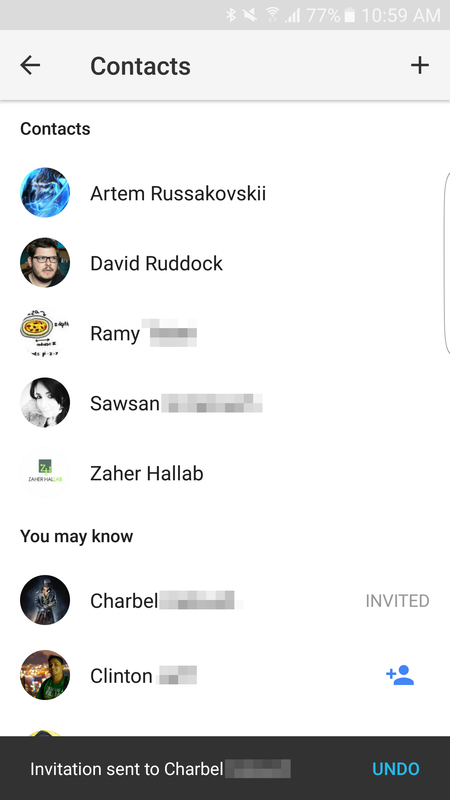 There are a few privacy pop-ups in place for group sharing and likes, and the options to leave or mute chats are there if you get bored. There's even Chromecast support, which you don't see in my screenshots because I wasn't near my Chromecast when I took them. 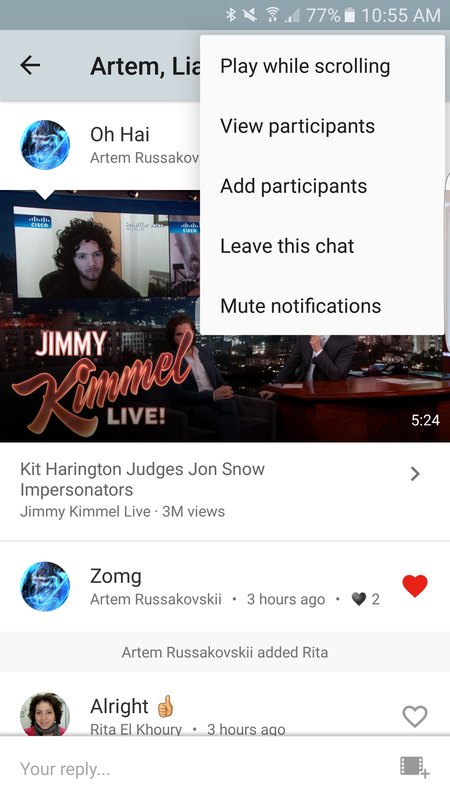 Regardless of what you think of it and the redundancy of the messaging aspect with so many of Google's own social ventures (Hangouts, Google+, Messenger, and so on), this is now the fastest and easiest way to share and watch YouTube videos together on our phones, and we love its simplicity and execution.